First off, the packaging. The 15ml squeezy tube is pretty in pink with a light pearlescent sheen. The tube is fitted with a flat paddle-shaped silicone applicator, designed to gently spread the product over the delicate eye area. I was pretty excited about the applicator but to be honest after using it I feel it's more gimmicky than useful. 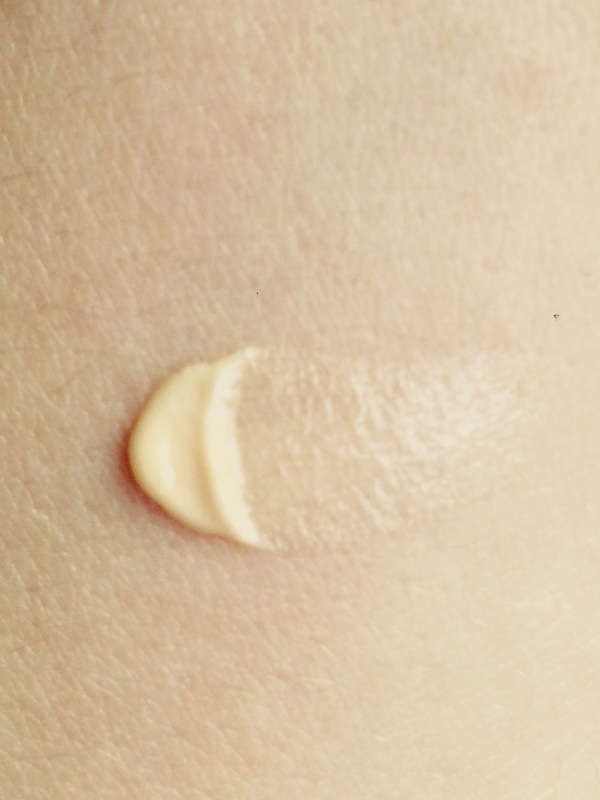 I found that the dry silicone gripped my skin and dragged it along, until it was covered with the eye cream, at which point it glided as it should. This rough treatment of your delicate under-eye skin is obviously damaging so after the first few times using it, I did away with using the applicator at all and just smoothed it on with my ring finger as per normal. If you wanted, I guess that you could use your finger to manually spread the cream over the applicator first, but ummm, personally I wouldn't be bothered. The cream itself is thick but feels nicely lightweight on the skin. It is pearly champagne in colour and fragrance free. As Siobhán outlined in her preview, the cream contains ingredients such as caffeine and Vitamin B3 to combat dark circles, shadows, puffiness and fine lines, and also illuminators and blurring agents to cosmetically give the appearance of fresher, brighter eyes. I am really quite impressed with the results I've seen from using this cream. There is instantly a noticeable difference on first application, dark shadows seem to melt away and the complexion around the eyes appears more uniform. This is due of course to that pearly fleshy tint that reflects the light. I usually have quite dark shadows under my eyes, with red and purple patches, but since using this cream (almost every day for about a month), I have noticed that these discoloured patches have faded. They haven't disappeared of course but they have improved considerably - I believe I no longer trigger concern in people when I'm seen without makeup. Another huge plus for me is that if I put it on before bed I don't wake up with seriously puffy eyes, in fact puffiness has been greatly reduced. All eye creams, bar one that I have tried before, make my eyes swollen and uncomfortable if I put even the smallest amount on at night and then lie down to sleep. But no more! This is major cause for celebration for me, it's a big deal not to have weepy swollen eyes every morning - hurrah! I didn't find that my fine lines improved but I'm so happy with the brightening and de-puffing effects that I'll forgive it that. I hadn't really expected it to live up to all of its claims anyway. As is usual with Vichy products, this eye cream is fragrance and paraben free, hypoallergenic, suitable for sensitive skin and concocted using Vichy thermal spa water. I for one love Idealia Eyes, and will absolutely repurchase. 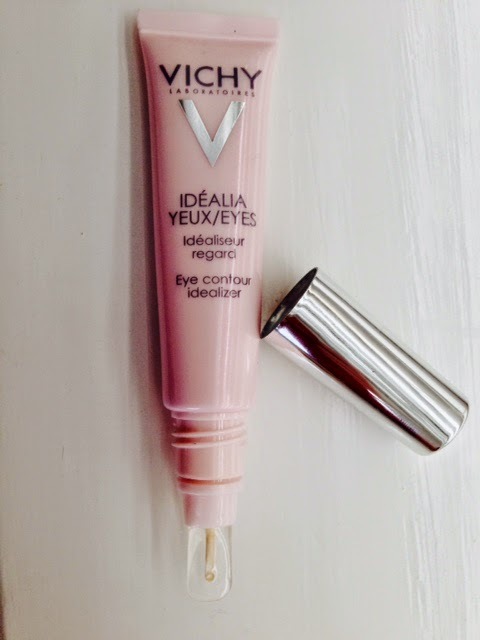 It retails at about €28 for 15ml and you can get any further information you require on the Vichy website here. That's it for me this Friday, hope everyone has a magical weekend. Until next time, realise that Idealia Eyes will idealise your eyes!